Are you ready to pull on your dungarees and wellies and head down to the farm with this sunny, silly and seriously fun slots online by Pragmatic Play, 7 Piggies. Spin the reels on this sunny day on the farm to see all types of Piggies characters including the Piggy King and Queen, their Baby Piggy, and yes even a Dracula Piggy. This isn’t your normal farm that’s for sure. And with these crazy characters comes some crazy good wins and tons of fun. 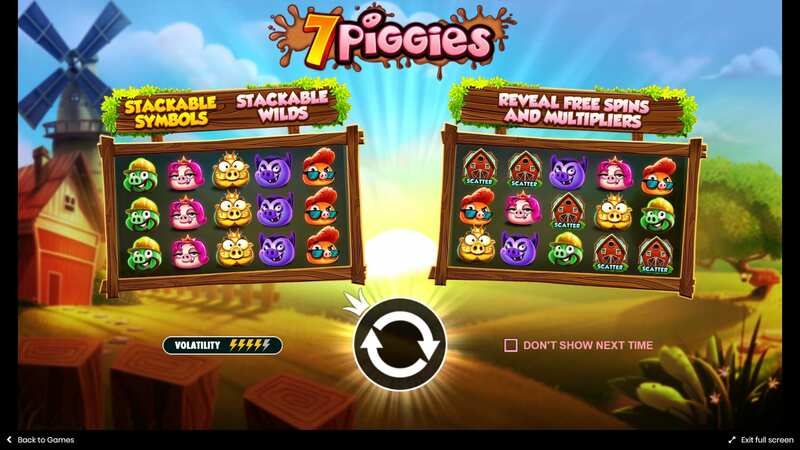 So if you’re ready to bring home the bacon, then come and join the fun with 7 Piggies video slot game. Due to their ability to research and knock out innovative game after innovative game Pragmatic Play is one of the most sought-after online casino developers currently out there. With such a huge weight on their shoulders they are committed to achieve the best from their games for their players and have already knocked out an impressive catalogue of online casino games with their primary focus being online slots. With tons of diverse themes and rich visuals they stand out from the pack on this alone, but complemented with smooth gameplay and is accessible on multiple devices Pragmatic Play has made their mark. Discover slot games online from Pragmatic Play. Don’t let the bad reputation of pigs put you off, these pigs are nothing but cute, friendly, fun-loving animals that like nothing more than the simple life on their farm. Let's get started and try the best slots games now! If you’re ready to visit the funny farm filled with tons of piggie characters then jump in the tractor and head to the fields. Once there you will meet with the Piggie King and Queen, a Piggy Baby, Piggy Builder, Piggy Cool Kid and a Piggy Vampire of course! And these piggies know exactly what to do to help you win some gold by stacking themselves up to help you win big in this 5 reel 7 line video slot game. The golden Piggie King is this games wild. As the ruler of the farm the Piggy King Wild can replace any of the other symbols in the reel except the scatter. Where do the piggies live when they aren’t out frolicking in the fields? The barn of course. This makes the Barn this games Scatter symbol. 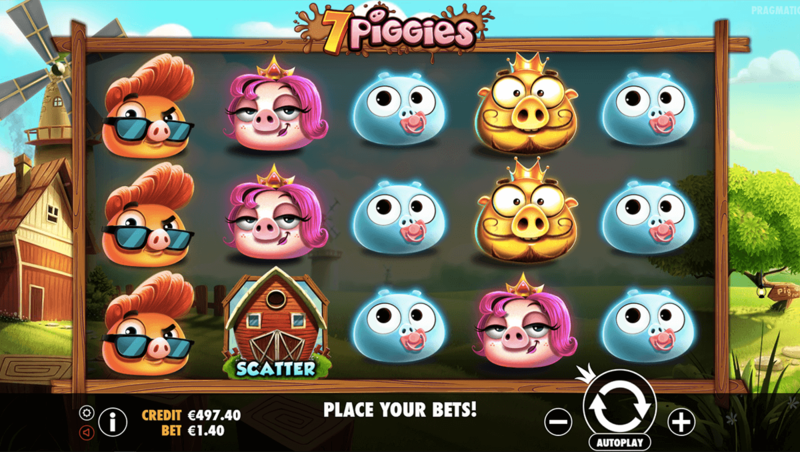 If you land 3 or more Barn Scatter symbols you will be rewarded with Free Spins. You can also trigger an additional Free Spins Round if you land another 3 or more Barn Scatter symbols during the original Free Spins Round!